Philip Morris has been sponsoring Ferrari since the mid-80s, but the Marlboro cigarette brand has not featured on a Ferrari car since 2007 due to strict advertising laws. However, Ferrari have continued on with the red and white livery to keep some form of connection with the Marlboro brand which shares the same colours. 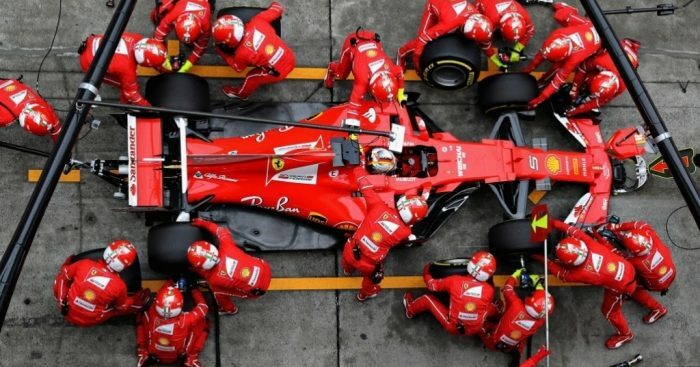 An official statement read: “Philip Morris International Inc. (PMI) and Scuderia Ferrari are extending their 40-year partnership successfully until 2021 and are realigning it. There was also an interesting line from PMI CEO Andre Calantzopoulos, who made a direct reference to how the brand would feature on the car.